Semi-automatic, form-fill-seal-for medical packaging. Produces Tyvek Surlyn pouches. 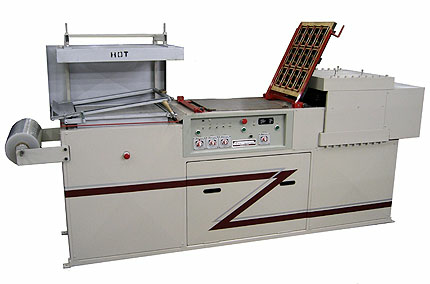 Machine is a self contained vacuum former that combines pre-heating of the forming film, vacuum forming the film into pouches, sealing the Tyvek lidding to the film, and trimming of the lidding. The Skin Trim combo can produce packages for many medical products such as: surgical kits, IV sets, or any bulky product that can be packaged in a soft Surlyn formed pouch with peelable Tyvek lidding.